The Jewish community of Vienna is erecting an eruv. This is a symbolic wall, the ritual extension of a private space up to an agreed-upon boundary, whose purpose is to make life easier for Orthodox Jews observing Shabbat. Architecture critics have called it rabbinic urbanism. 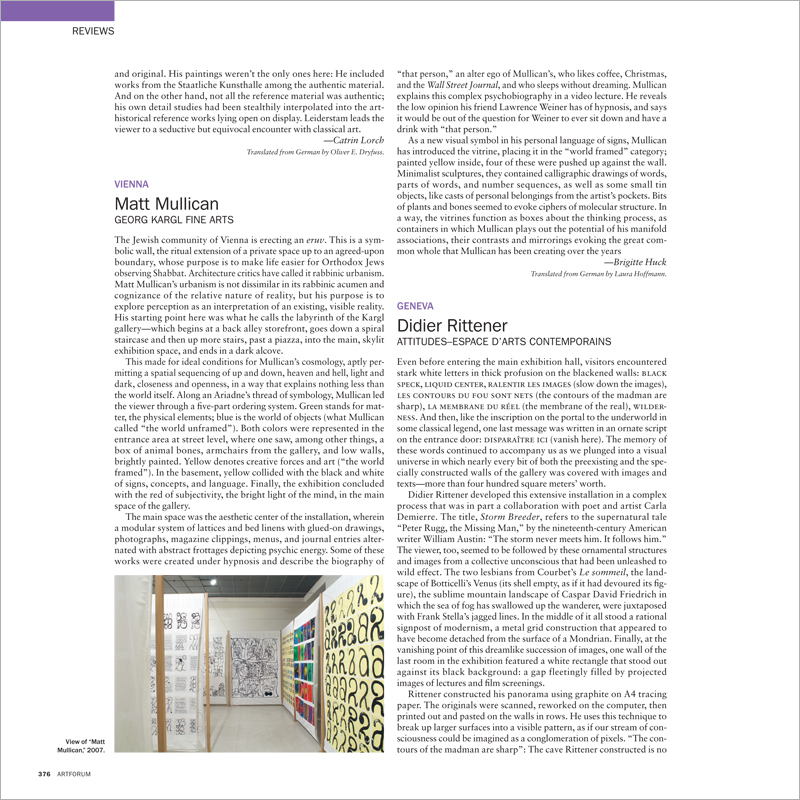 Matt Mullican’s urbanism is not dissimilar in its rabbinic acumen and cognizance of the relative nature of reality, but his purpose is to explore perception as an interpretation of an existing, visible reality. His starting point here was what he calls the labyrinth of the Kargl gallery—which begins at a back alley storefront, goes down a spiral staircase and then up more stairs, past a piazza, into the main, skylit exhibition space, and ends in a dark alcove.